Research shows that more than 70% of a typical company’s intellectual property resides in email messages. Email is introduced into more than 90% of court cases as evidence. Message logic is a unique combination of archiving and analytics to deliver a solution that meets your compliance requirements while producing meaningful data to operate and protect your business. Message Logic uses the Amazon AWS network storage infrastructure to meet industry specific regulatory storage requirements. MLArchiver Cloud intercepts all inbound and outbound emails and instant messages as they are communicated and routes them to our secure archive built in the Amazon Web Services Cloud. Here they are retained for the required statutory archiving term, which is typically between three to seven years. 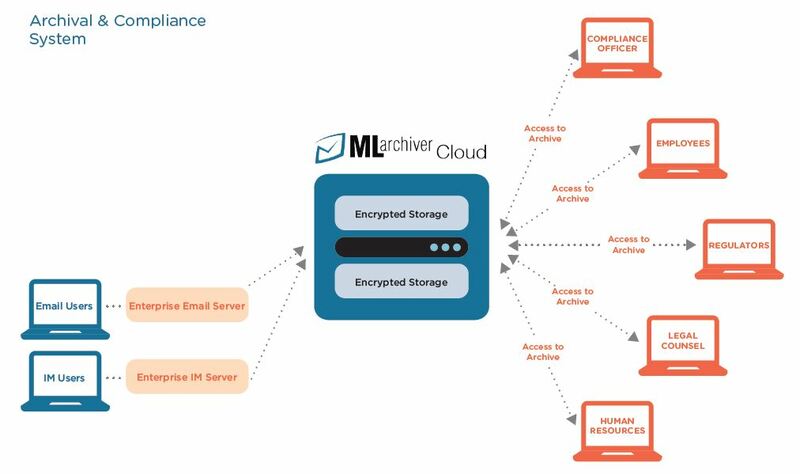 MLArchiver Cloud provides accurate, comprehensive, real-time archival access plus sophisticated search and review tools to identify and flag message content. 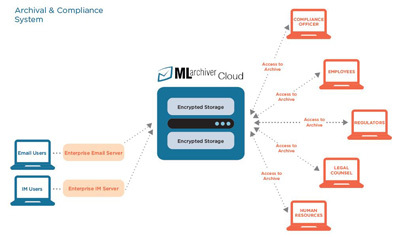 MLArchiver Cloud can process millions of messages and archive hundreds of gigabytes per day with high availability, low-fault tolerance and extreme resiliency.